European Bathrooms: What's new at European Bathrooms? Chapter 1, The Brand. What's new at European Bathrooms? Chapter 1, The Brand. We have recently released our new brand and website, alongside some stunning new bathroom displays at our two showrooms. Over the coming weeks we will enlighten you as to how our approach has changed, and what impact this makes to the services and products we offer you. When creating a brand about great design and designers why not start with what some call the ‘principle law of natural design’. 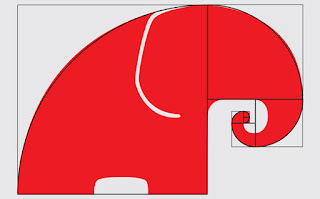 The famous Fibonacci or Golden Spiral has captivated mathematicians, designers and artists for centuries. It’s ubiquity and astounding functionality in nature suggests it’s importance as a fundamental characteristic of the universe. In short, found in most of our surrounding world, this satisfying shape has been described as the basic principle of all beauty and completeness. From petals on a leaf, to bones in our own body, to the Parthenon in Athens. Even the balance of our facial features that we recognise as beauty. 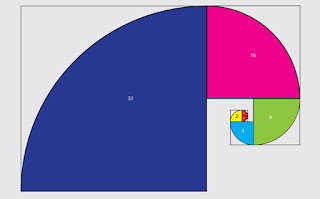 The mathematical sequence that creates this essential spiral can be found everywhere. 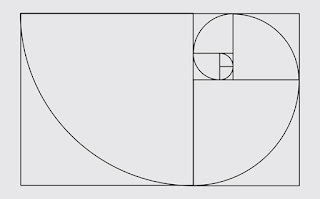 The basic Fibonacci or Golden spiral contained in a Golden rectangle! To create the European Bathrooms brand the spiral has been increased by simply doubling the proceeding number in the sequence. Giving us our natural and pleasing ‘Elephant shape”. Born in 1170 Fibonacci was known in his time and is still recognized today as the "greatest European mathematician of the middle ages." He was one of the first people to introduce the Hindu-Arabic number system into Europe, the system we now use today, based of ten digits with its decimal point and a symbol for zero: 1 2 3 4 5 6 7 8 9 and 0. The sequence, in which each number is the sum of the two preceding numbers is known as the Fibonacci series: 1, 1, 2, 3, 5, 8, 13, 21, 34, 55, 89, 144, 233, 377, 610, 987, 1597, 2584, 4181, ... (each number is the sum of the previous two). 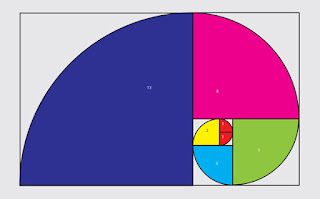 This sequence creates the Fibonacci spiral (above), almost identical to the Golden ratio and spiral which can commonly be found in nature, science, art and even our own bodies. Well, you can draw your own! Our new icon has been a real talking point between staff and customers, exactly what we were hoping to achieve. A strong, thought provoking, truly recognisable brand.